This viral sensation, which has used the hash tag #IceBucketChallenge, has attracted thousands of participants, including Bill Gates, Chris Christie and Martha Stewart, who willingly drop buckets of ice water on themselves and issue the challenge to others. 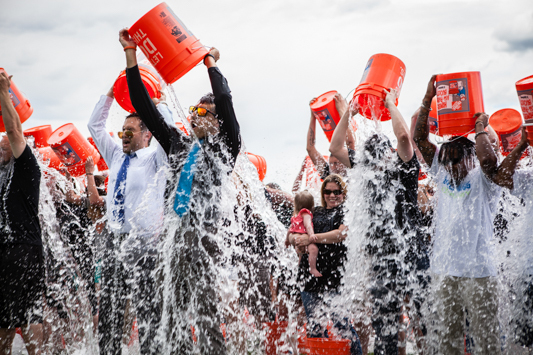 Continuing its commitment to unique community giving, Armstrong Steel, a Denver based construction company, will be joining the social media buzz as part of the ALS 'Ice Bucket Challenge,' with a company-wide drenching and a $10,000 pledge commitment. 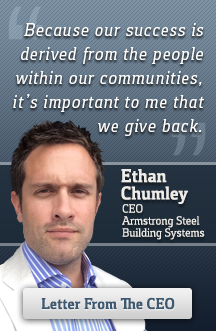 “We’ve always encouraged our employees to take part in community giving,” said Ethan Chumley, CEO of Armstrong Steel. 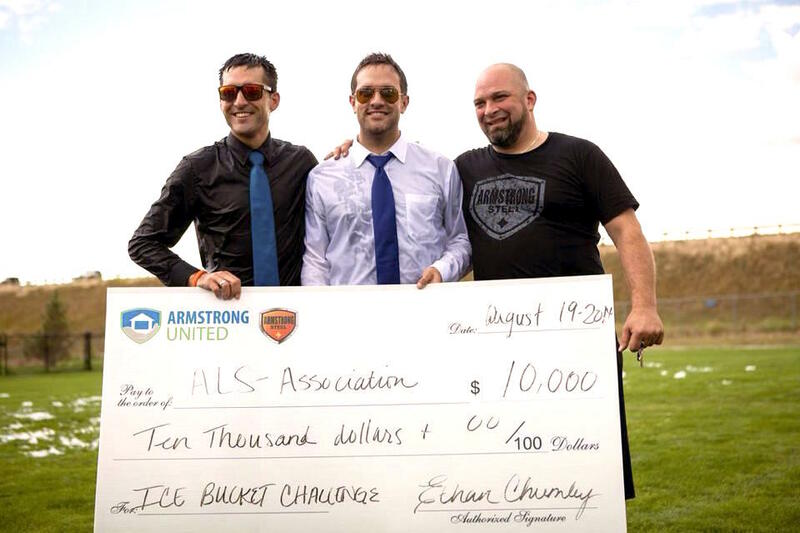 “We are so committed to this that we are transporting our entire working staff to the park to participate – making this one of the largest ALS “Ice Bucket Challenges,” in the nation – and our nonprofit foundation, Armstrong United, is committing $10,000 to the ALS Association above and beyond what our employees raise. Amyotrophic lateral sclerosis (ALS), often referred to as "Lou Gehrig's Disease," is a progressive neurodegenerative disease that affects nerve cells in the brain and the spinal cord. Motor neurons reach from the brain to the spinal cord and from the spinal cord to the muscles throughout the body. The progressive degeneration of the motor neurons in ALS eventually leads to their death. When the motor neurons die, the ability of the brain to initiate and control muscle movement is lost. With voluntary muscle action progressively affected, patients in the later stages of the disease may become totally paralyzed and die. “We are pleased to have 130 people participating in our challenge commitment on August 19, 2014 at Village Greens Park at 3pm,” said Eric Beavers, VP/COO of Armstrong Steel and one of the event organizers. As of Monday, August 18, The ALS Association has received $15.6 million in donations compared to $1.8 million during the same time period last year (July 29 to August 18). These donations have come from existing donors and 307,598 new donors to The Association through the ALS Challenge.